This winter—particularly the first few weeks of the new year—has been brutal. The temperature fell not just below freezing, but below zero. A blizzard caused flooding up and down the East Coast. While airports are still trying to recover from all the backups it created. Your body has been craving warmth as a result. Steaming cups of hot chocolate. Soft sweaters and cozy socks. Plus you’ve been dreaming of sunshine-filled vacations. Yes, you’re already looking forward to the summer. No destination screams summer quite like the Côte d’Azur. The French Riviera, in the southeast corner of the country, runs along the Mediterranean Sea to the Italian border. Historic cities and medieval architecture, landscape-inspired artwork and lavender-scented air draw people from around the world. You keep returning for the fresh seafood, the rosé wine, and the gorgeous beaches. Over time, you’ve learned how to escape the crowds. Ramatuelle is one of your favorite places to do so. 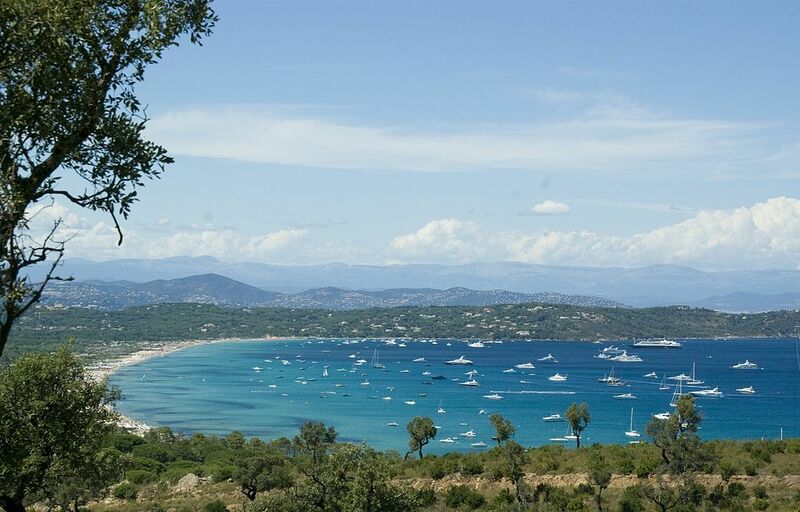 Ramatuelle sits on a hill just south of popular Saint-Tropez. The ancient market town was ruled by the Moors in the 9th and 10th centuries. The center of town is still a maze of arches and red-clay roofs. Art galleries now fill the arcades. Vineyards surround the village. They all overlook the dramatic coastline, bobbing boats, and the azure sea. That’s just the beginning. 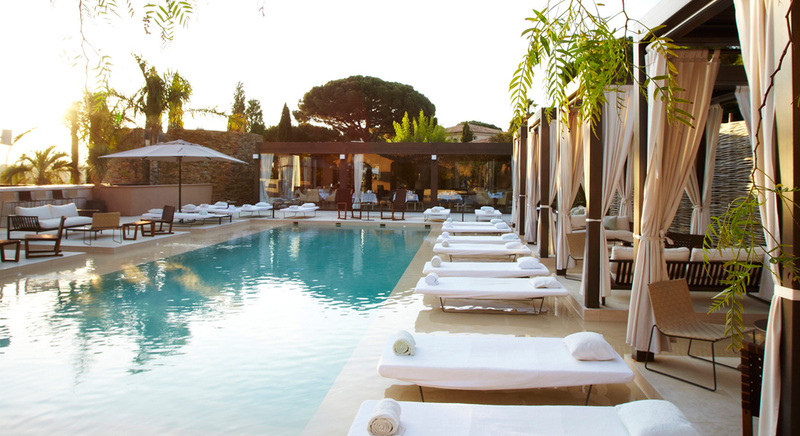 Ramatuelle is also home to a boutique hotel that feels like a complete oasis. Muse sits atop a little bluff in between pine trees and the ocean along the Route des Marres. Saint-Tropez’s Place de Lices open-air market isn’t far. Neither is the yacht-filled marina or the area’s famous beaches (Pampelonne, Tahiti, and Bouillabaisse). The hotel’s shuttle—it’s actually a Bentley—will drop you off at any of these spots. Custom-made bicycles are available for exploration, as well. But, once you see the hotel, you may not want to go very far. You’ll be enchanted as soon as you set foot on the property. The reception area looks like an old mill. Three acres of terraced gardens spread out from there. Fourteen suites, each named after a real French muse, are nestled among them. They have a classic look with cool stone floors, custom-made furniture, cream-and ivory-decor, and 800-thread-count sheets. The technology, including flat-screen TVs and iPads, is all modern. The amenities—a beach bag with sunglasses, a bath-salt menu, and a wine cabinet—are pure luxury. While your muse, Jeanne (Moreau, perhaps? ), has both a living area and a shower outside. After you take your time settling in, you’ll head back outside. There’s a lovely pool surrounded by cabanas and sun loungers, a bar and soothing music. A pétanque pitch stands off to the side. So does M, the glass-walled restaurant. You’ll order a glass, no make that a bottle, of rosé wine while you look over the seafood-heavy menu. Royal sea bream ceviche with pink grapefruit and lemon caviar will immediately jump out at you. So will the grilled fish, simply served with virgin olive oil and a side of ratatouille. It will be a perfect long lunch to start your trip. Now you just have to wait a few months for the warm weather to arrive.